Mounting a fan station at the mine in Garpenberg, Sweden. 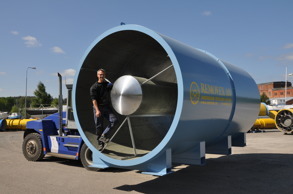 The fan station consists of 2 pieces of 2300 mm fans with silencers and an adaptor that makes the two airflows become one down in a bend that is connect to the shaft. The entire fan station is double sheathed with 100 mm isolation to keep the warmth of the heated aif, which is needed in our nordic climate. 4 pieces of 1600 mm and 22 pieces of 900 mm fans. 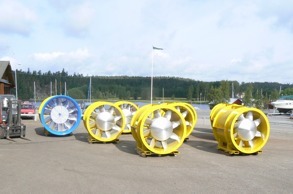 to this hydropower plant we delivered more than 100 fans. 2 pieces of 1800 mm 250kW, vertical fan station that will be installed over a shaft that also needs to be able to be used as evacuation. This is possible by the special design which makes it possible for only one man to move the entire fan station. 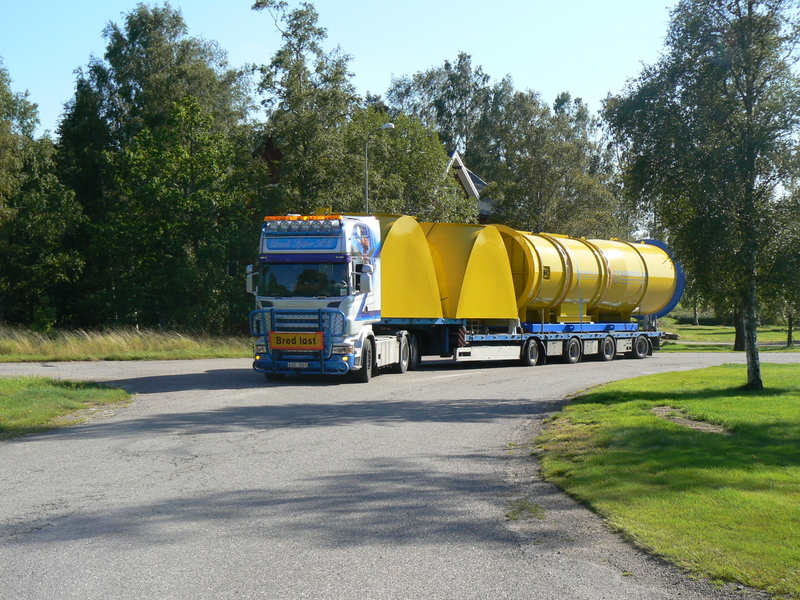 Something you would need too? 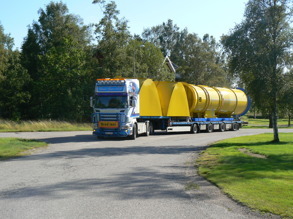 Please contact us for an offer. 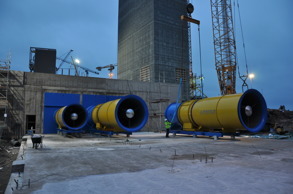 Mounting 3 fanstations that consists of 2 pieces of 2300 mm fans with silencers, that each gives 160 m3 air/secund into the shaft, and 1 piece of 2000 mm fan with silencer, that gives 100 m3 air/second into another shaft. 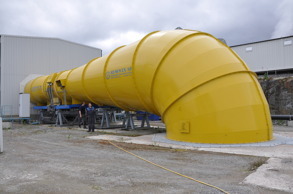 Customized silencer to Kittilä in Finland. 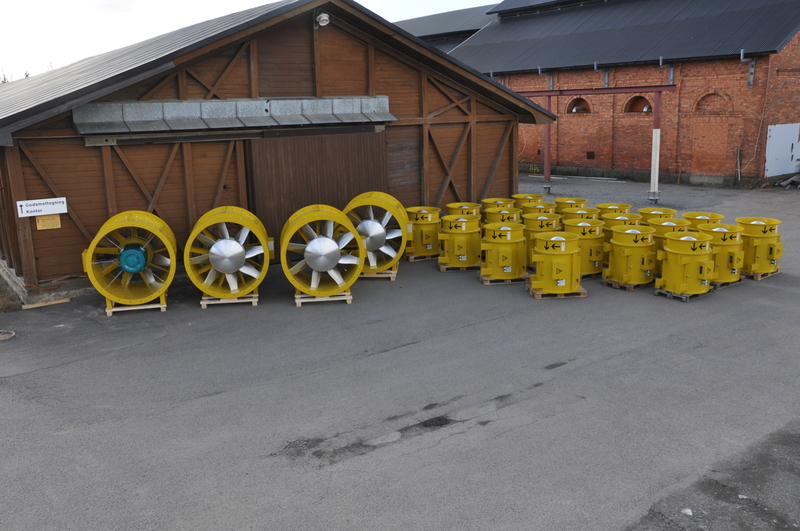 We have delivered more than 100 fans to LKAB, Sweden. 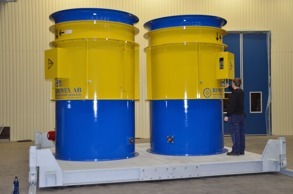 For example these 1800 mm fans wiht 250 kW motors.